Can't wait to see you guys again! See you there. if the prunted copies do exist will there be a place online for people in different states to purchase a copy? Thank you very much again for autographing comics at Shellback yesterday. It was great to see you again. I posted some pictures of everything and am working on getting them posted. Also, I was the guy with the #donsnotdead sign & figure. Thank you (and Steve) again for taking the time out to sign stuff for all of the fans. I sincerely appreciated it, and I'm sure the rest of the fans did too. How to contact Peter Laird?Really need,it's about the Ninja Turtles. My team and try to continue them for 2003.Need your approval. Hi Peter! I've been a huge fan all my life. My wife and I recently moved to Maine so I went down and met Steve at his shop. He mentioned he's hoping you'll be back there for free comic book day again next year. Is that true? I'd love a chance to meet you as well. 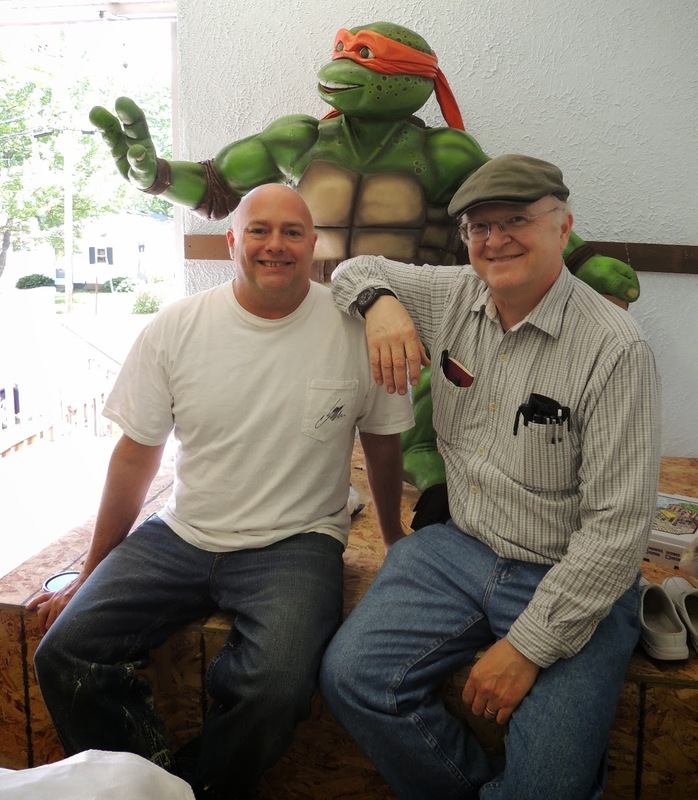 Thanks for all the years of Turtles awesomeness! Hello sir will you be signing at shell back artwork this year for free comic book day? Or any other signing this year?